A ribbon cutting ceremony officially opened NASA Langley's new 'Katherine G. Johnson Computational Research Facility,' a state-of-the-art lab for innovative research and development supporting NASA's exploration missions. HAMPTON, Va. (WVEC) -- An American treasure is being honored in Hampton. 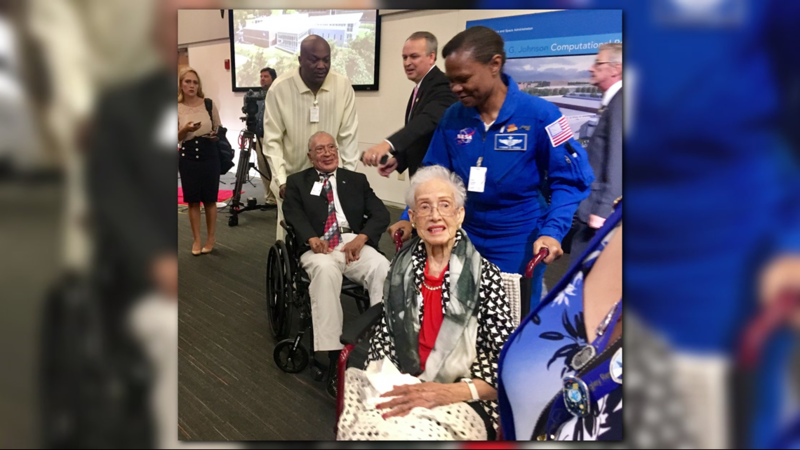 A new facility at the NASA Langley Research Center is named after Katherine Johnson. She's the woman featured in the movie "Hidden Figures" for her inspiring work at NASA Langley. People knew the mathematician as a "human computer" who calculated America's first space flights in the 1960s. "I liked what I was doing, I liked work," said Katherine. 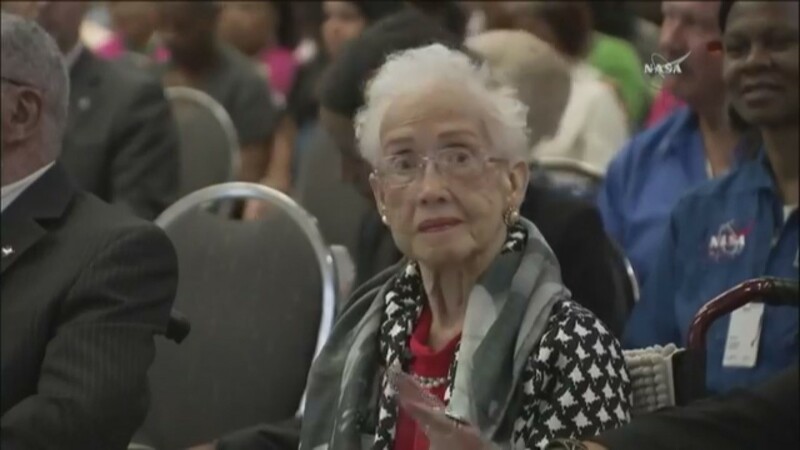 The 99-year-old worked for NASA at a time when it was extremely difficult for African-Americans -- especially women -- to get jobs in the science field. "My problem was to answer questions, and I did that to the best of my ability at all time," said Katherine. She was awarded the Presidential Medal of Freedom in 2015. She said, "I was excited for something new. Always liked something new". U.S. Sen. Mark Warner, Virginia Governor Terry McAuliffe, Hampton Mayor Donnie Tuck, and "Hidden Figures" author Margot Lee Shetterly were among the dignitaries who were on hand to honor Johnson. Governor McAuliffe said, "Thank goodness for the movie and the book that actually came out and people got to understand what this woman meant to our county. I mean she really broke down the barriers." The Katherine G. Johnson Computational Research Facility (CRF) is a $23 million, 37,000-square-foot energy efficient structure that consolidates five Langley data centers and more than 30 server rooms. One NASA astronaut, Doctor Yvonne Cagle said Katherine is the reason she is an astronaut today. "This is remarkable, I mean it really shows that when you make substantive contributions like this, that resonate both on and off the planet. There's no time like the present." Doctor Cagle said she's excited the new building is named after Katherine. "Thank you all, thank everyone for recognizing and bringing to light this beautiful hidden figure," said Cagle. The facility will enhance NASA's efforts in modeling and simulation, big data, and analysis. Much of the work now done by wind tunnels eventually will be performed by computers like those at the CRF. NASA Langley is honoring the one and only Katherine G. Johnson, by naming their new building after this hidden figure. NASA Deputy Director of Center Operations, Erik Weiser said, this new facility will help them with their anticipated Mars landing in 2020.